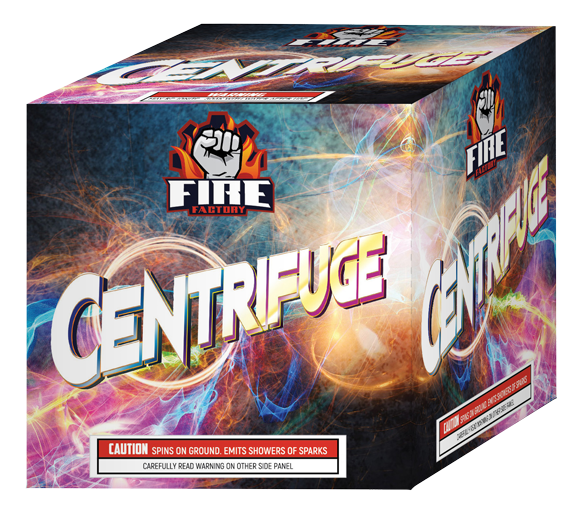 Sit down and hold on for Centrifuge! This futuristic fountain starts with tons of Chrysanthemums which give way to massive titanium crackling. Then WATCH OUT as the sideways thrusters kick into overdrive. The entire fountain starts to spin at speeds that will make your knees buckle. 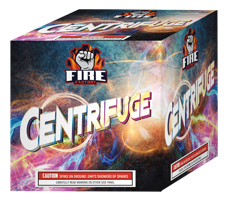 Centrifuge ends with dizzying showers of sparks shooting in all directions.